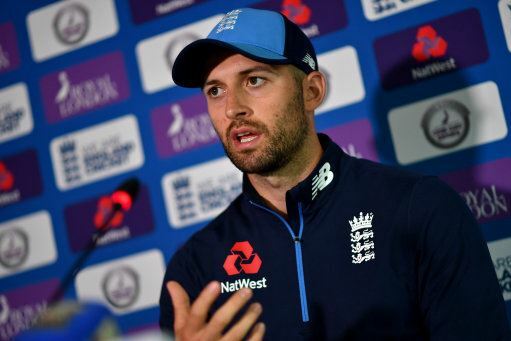 Durham and England fast bowler Mark Wood was “surprised” by the decision to appoint Cameron Bancroft as Durham captain. Australian batsman Cameron Bancroft has recently returned to cricket having served a nine-month ban from the sport he received because of his role in the ball-tampering scandal that overshadowed the Australia tour of South Africa in March 2018. The batsman has agreed to join Durham as their overseas player for the 2019 summer and has immediately been appointed as club captain by fellow Australian and Durham’s director of cricket Marcus North. Despite his initial shock at the choice, Wood has given Bancroft his support to lead the county: “the more I’ve thought about it since I think well actually there’s not many people that could’ve done it. If I look around the squad, me personally, not everyone’s guaranteed their spots, there’s a lot of young lads who are battling for their place. “The two that probably apart from Cameron that could’ve done it would have been Alex Lees who I think for him it’s probably not the right time, focus on his own game and go under the radar and just concentrate on scoring some runs. “And the other guy would have probably been Rushy but as we all know bowlers never get the captaincy do they so he could never get it. “I’ve thought about it well for me Bancroft is a guy that obviously has international pedigree, he’s a guy that no matter what anyone says about him or throws at him it’s not going to be as bad as what’s probably been for him the last 12 months so he’s had the worst of it. Wood also spoke of his desire to help Durham this season and his belief that it could be a big season for the North East club. “I’m desperate to play for Durham, I feel like if we start the season well here it can lead to bigger and better things. “The likes of Carse, Potts who were injured for a lot of last year, their bodies are now more robust they’ve had another year and they add a different dimension plus I think we’ve recruited really well with Raine and Lees obviously who’ve come in and Bancroft.